Roebling Lofts is being developed exclusively by HHG Development Associates, LLC. 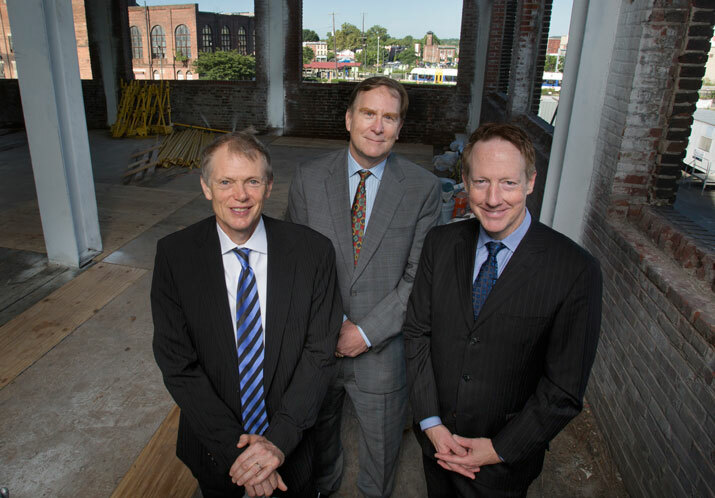 This consists of three principals (L to R): David Henderson and Michael Goldstein, co-managers, and John Hatch. All three are residents of Trenton’s Mill Hill neighborhood, and established members of the Trenton community. We care about this city because we live here, and you’ll be able to find us on site much of the time. Stop in the rental office to say hi! David Henderson has been developing real-estate in Trenton since 1994. 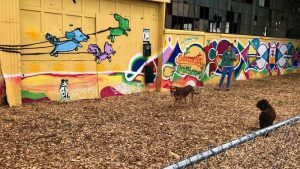 As a principal member of Atlantis Historic Properties, he played a major role in the revival of the Mill Hill, widely regarded as one of Trenton’s most successful neighborhoods. David is a licensed architect, and an experienced general contractor/construction manager. John Hatch, AIA, LEED AP, is a partner with Clarke, Caton, Hintz, a leading Trenton-based architecture firm. In addition to partnering with David Henderson in Atlantis Historic Properties, John has been engaged as a planner and architect in many of the key adaptive-reuse projects in the City of Trenton. These include the Roebling Mansion, Pellettieri Homes, and the Museum of Contemporary Science. He is the architect of record for all HHG projects, and works closely with Michael and David on project conceptualization and design.